Edward was the second son of Thomas Brogden, a clothier of Worcester, and his wife Eleanor. He married Dorothy, daughter of Humphrey Goldston of Bridgnorth, Shropshire. Edward and Dorothy had children - they were mentioned in his will (1) but not named. Clothiers were relatively wealthy merchants in the Worcester area. Edward's father died in 1528 or 1529, leaving £20 (£6800 in today's values) to each of his three sons and one daughter. He also left two houses to his eldest son, Richard. We don't know how Edward earned his living or what led him to become one of the chosen representatives of Worcestershire electors in Parliament, except that he was one of the "48" leading Worcester citizens and described as a "Gentleman" (4) which implies wealth. The election of MPs in those days was in the hands of local landowners with land worth a minimum of 40 shillings per annum in rent. (2) The MPs were usually wealthy merchants and, as is still the case, not necessarily local residents. Parliament was convened by the monarch only about once a year, usually to agree to raise revenues. The House of Commons in which Edward served was slowly gaining in authority, but it was to be another century before the English Civil War and the execution of the king led to a more powerful parliament. Edward's earlier years saw Henry VIII's dissolution of religious houses and he may have been related (see below) to the Sir John Brogden (Prior of Thelsford Monastery when it was seized and dismantled and Vicar of Newbold Pacey) who had succeeded in recovering property confiscated by Henry. (3) Both he and John are mentioned in a set of deeds in the Warwickshire Record Office. (See article on Sir John Brogden, below). Edward attended the House of Commons in March 1553 and November 1554. He was due to attend in 1555 but a complaint is recorded against him that he did not attend when called. This complaint was not upheld, perhaps because he was away from home and missed the call, rather than because he was avoiding attending the session. Expenses could be claimed for attending Parliament at 2 shillings per day (£23 at today's values), from the day he set out to the day he returned home. The records show that he claimed for 36 days in 1553 and 80 days in 1555. Further research is required to try to clarify and confirm the Warwickshire connection to Edward, including the Sir John referred to in the Bishops Tachbrook deeds, and to discover Edward's coat of arms, assuming that he applied for these as entitled as a "gentleman." The Worcestershire Record Office says it holds no references to Edward other than part of his will. The will is referred to in Bindoff (Ed) (see below) as having only a fragment remaining. It is in the Worcestershire Record Office. The "Forty Shilling Franchise" was not repealed until 1832. John Brogden succeeded via a bill of complaint in persuading the King's Council to reinstate to him lands that had been confiscated when Thelsford Priory was seized. The deeds also refer to a Sir John Brogden, "clerk, minister of Thelsford." The deeds appear to indicate that these are separate people. See CR 1908/98/1 Warwickshire Record Office: Deeds Relating to Bishops Tachbrook [a parish in central Warwickshire]. See CR 1908/98/2 Warwickshire Record Office: Deeds Relating to Bishops Tachbrook: "Bargain and sake from Thomas Denton of Besselshye, Berkshire., esq., and Edward Brogden of Worcester gent. to Thomas Savage of all those messuages and hereditaments etc in Bishops Tachbook which are now in the tenures of Richard Horley, Edward Chastelyn, William Bysshop and William Trentam senior which property John Brogden formerly recovered from Henry VIII by decree of the Court of Augmentations, 20th April 1 Ed. VI (1547)." The information about Edward Brogden, his family and his House of Commons attendances comes from Bindoff (Ed): The House of Commons 1509 - 1588 (Members A - C); published for the History of Parliament Trust by Secker and Warburg; 1982. The contribution on Edward Brogden is credited to the editor himself. A document in the Warwickshire County Record Office, dated 1546, (3) describes Sir John Brogden’s appeal to the King for the return of his lands in Bishops Tachbrook, nearer to Warwick, which had been confiscated along with those of the Priory. His appeal was successful, supported by a deed of 1521 which set out his rights. This document also refers to a William Brogden but does not indicate his relationship to Sir John. A further document, dated 1547, (4) mentions more land in Bishops Tachbrook which was also recovered from the Crown by Sir John. Here there is mention of an Edward Brogden of Worcester, “Gent.” This Edward Brogden was a prominent citizen and Member of Parliament for Worcester who attended parliament in 1553 and 1554. (See above.) He is described as being among the “kinsfolk” (ie relative) of Sir John in Bindoff’s history of the House of Commons. (5) It would be interesting to know what kin he was. A brother, perhaps? Edward’s father, Thomas, was a clothier who died in 1528 or 9, leaving £20 to each of his three sons and one daughter; the eldest son, Richard, also inherited two houses. Edward was the second son. Might the third son be Sir John? It was typical of the times for a younger son to join the church. Further research may answer this query. Bindoff (Ed): The House of Commons 1509 - 1588 (Members A - C); published for the History of Parliament Trust by Secker and Warburg; 1982. Having been elected Lieutenant Governor in the election of 1872, Curtis Hooks Brogden became Governor upon the death of Governor Caldwell. Prior to that time, he had represented Wayne County in the House of Commons, served in the State Senate, had been elected state Comptroller and was a member of the U.S. Senate. His support as Governor went to establishing free public schools in every county and town and to reopening the University of North Carolina. He also supported transportation expansions such as the purchase of the Western North Carolina Railroad by the North Carolina Railroad, the opening of the western part of the state to commerce into the Mississippi Valley region and the improvement of ports and harbours. While governor, CH Brogden represented the state at the Centennial Celebration in Philadelphia in 1876. The town of Brogden in North Carolina is thought to be named after Governor Brogden (not to be confused with the town of Brogdon in South Carolina which has a different history.) 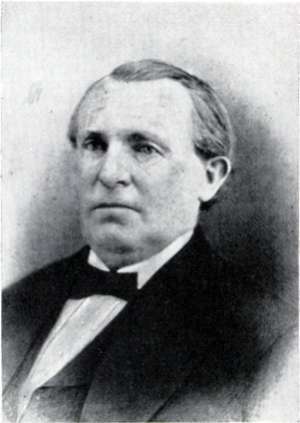 Brogden researchers in the USA have been unable to establish a direct connection with Governor Brogden, nor have they been able to trace his ancestry or when his branch of the family arrived in the USA. James was the oldest son of John Brogden, a merchant, of Leadenhall Street, London and Clapham, Surrey, and his wife, Mary. He spent a year at the public school, Eton College, in 1780-81. He married Hannah, born about 1776 and who died in Sussex on 2 February 1855. James probably worked in partnership with his father, John, who was a Russia merchant and director of the London Assurance Company and in business from 1757 to 1793. The company may have been started by James' great uncle, James, who appears to have retired and left the running of the business to John. John died in 1800. By 1806 James was being described as a "respectable Russia merchant." He was judged to know the "country and the climate" of Russia well and had spent a year in Russia in 1787/8. He also undertook a North European tour in 1791. Thorne records that he fell out with his business partner, Pleschell on his brother Henry's account, and that he withdrew from active participation, whist remaining a director. He was a director of the Rock Life Assurance Company from 1812 and became chairman in 1816. Thorne gives no further information, either about the business or about brother Henry. Trade directories list the business address as Leadenhall (sometimes 143 Leadenhall) Street, London and after 1767 as 1 (sometimes 6) Russia Court, Leadenhall Street. 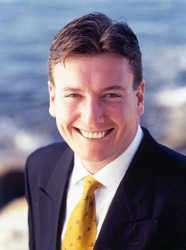 The directories also sometimes refer to the address of John Brogden as Clapham, London. Another variation is a trade directory reference to John Brogden as "Consul of the Russia Company" with an address as the "Merchant Seaman's office over the Royal Exchange, London." The South Wales newspaper, The Cambrian, reports James Brogden's comings and goings to his farm at Trimsaran, Carmarthenshire, the sale of grain and animals and his generosity in giving to charitable causes. The History of Parliament Trust's publication, "The House of Commons 1790 - 1820," edited by RG Thorne* gives a long and detailed resume of James' parliamentary career. James was elected in 1796 to represent Launceston in Cornwall, supported by the Duke of Northumberland. He frequently spoke on commercial matters (including on the mining industry in which he had a stake in Carmarthenshire) and not always to the Duke of Northumberland's approval. At one point his voting with the opposition led him to consider quitting the House of Commons but his "friends kindly prevented" him from doing this. He voted for parliamentary reform in the 1790s and was considered friendly to the abolition of slavery. Perhaps these views were part of the reason for Arthur Shakespeare MP striking him in 1807 and calling him a "damned villain." Shakespeare later apologised. Back on friendly terms with the Duke by 1812, James gained a seat on the Treasury Board following a recommendation by the Duke to the Prince Regent who lobbied the new prime minister, Lord Liverpool. (Liverpool's predecessor as prime minister, Spencer Perceval, had the unique distinction of being assassinated in the lobby of the House of Commons.) James Brogden gave up the seat on the Board in 1813 when he became Chairman of the Ways and Means Committee where he remained for 13 years until he felt obliged to resign, claiming innocence, over his involvement in a mining company scandal. James left parliament in 1832 and died some ten years later. There remain a number of unanswered questions about James. Where does his branch of the Brogdens fit with the others? Did he marry early enough to have children? What can be discovered about great uncle James and brother Henry? Are there descendants to be found today? For the article James Brogden in Russia 1787 - 1788 which refers to his correspondence at the time to his father and sister, click here. *This history was published by Secker and Warburg for the History of Parliament Trust in 1986. Members of Parliament were not salaried until 1911 so MPs such as James would have needed substantial private or business incomes to support their parliamentary careers and a London address that was convenient for their attendances in the House of Commons. Alexander was the second son of the railway construction contractor and coal mine owner, John Brogden. He and three of his brothers went into partnership with their father in 1846 and the company, John Brogden and Sons thrived for several years. Alexander succeeded his father as chairman of the company when John senior retired. John senior's eldest son, who would no doubt have become chairman, died in 1855, aged only 31. Alexander was a graduate of King's College, London, and had expected to follow a career in the law but a stint in his father's office led him to stay and be part of an entrepreneurial family business that is well known in railway history circles for their work on the Ulverstone and Lancashire Railway (and others) and the civil engineering projects at home and abroad (including New Zealand and the Alps), for coal mining and iron-production in England and in Wales and not only for the construction of the docks at Porthcawl in South Wales but also for the beginnings of its development as a tourist resort. The company became over-stretched and collapsed with large debts in 1880. Alexander and his brothers were declared bankrupt in 1884. Alexander's first attempt to be elected to represent Yarmouth in parliament failed, amid accusations of improper influencing of the vote. He was successful in being elected for Wednesbury in 1868 and served the constituency until 1885 when his bankruptcy forced his resignation. He died in 1892 in most unfortunate circumstances when he fell into the fireplace and suffered severe burns. Alexander married in 1848 Ann Garstang, daughter of a business partner of his father's, James Garstang, who was linked with John senior in the promotion of the Ulverstone and Lancashire Railway. There were two children: James Garstang Brogden was born in 1850, married in 1877 and died 1885 leaving a daughter; Ann Edith was born in 1856 and married in 1891. The accounts of Alexander's roles in the John Brogden Company reveal a difficult character who, whilst bringing energy to the firm, also demonstrated at times a tactless obstinacy which led him into costly litigation (including unsuccessful action against the Metropolitan Railway Company which he persisted in taking as far as an appeal to the House of Lords). He even provoked litigation within the family, falling out with his younger brother James, who ran the South Wales branch of the business and also with his sister who sued for her father's legacy to be paid. Perhaps he had inherited his father's tendency to be bad tempered, a characteristic that is recorded in one of John Brogden's employee's recollections. Whether or not he inherited his father's good sense of business is open to question: John Brogden's will reveals that the company was already heavily mortgaged and it did not require much in the way of a fall in coal and iron prices to bring the company down. No information has yet come to light about Alexander's parliamentary career. Members of parliament were not salaried in his day and Alexander seems to have managed the company and his parliamentary work simultaneously. If for no better reason, being an MP was useful for making the right business contacts. Street names in Porthcawl and Cheshire commemorate the Brogdens' industrial and commercial enterprises (see Brogden Places on this website) and railway history researchers continue to enquire into the history of the company. Genealogical research has revealed some of Alexander's Lancashire ancestry but no direct male descendents. For further details on the activities of the John Brogden company and more information on Alexander, see various pages on this website. John Brogden grew up in Haberfield in Sydney's inner-west and attended St Patrick's College, Strathfield 1979 - 1986. He completed a Masters of Public Affairs (University of Sydney) in 2001. John is married to Lucy. He has been Public Affairs Manager for the Credit Union Services Corporation (Australia) Limited; Public relations consultant - Cosway Australia; Adviser to the Hon. J.P. Hannaford, MLC, Attorney-General; the Hon. J.J. Fahey, MP, Premier; and the Hon Ted Pickering, MLC, Minister for Police and Emergency Services. Director of the Australian Institute of Political Science Sydney Institute; Member of Industrial Relations Society (NSW); Centre for Independent Studies; Sydney Institute. John was member for Pittwater from 25 May 1996 (by-election), re-elected 27 March 1999. Shadow Minister for Urban Affairs and Planning, Shadow Minister for Sydney Water, Shadow Minister for Youth Affairs April 1999 to 28 March 2002. Leader of the Opposition, Shadow Minister for Ethnic Affairs, Shadow Minister for Reform of Government 28 March 2002. Joined Liberal Party 1986; Member of Mona Vale Branch; Member of Liberal Party State Executive 1992-93 and 1996; Delegate Federal Council 1993; President of Young Liberal Movement of Australia (NSW Division) 1992-93; Federal Treasurer of Young Liberal Movement of Australia 1994. In 2002 John became the youngest ever leader of the liberal party for New South Wales. There is a great deal of information about his parliamentary activities on the internet. *John Brogden is a descendent of the Oxfordshire Brogdens through his g-g-grandfather, William, who emigrated to New Zealand with his family on the Ballochmile in 1874. John's father was born in New Zealand but subsequently moved to Australia. John's brother also lives in Australia and his sister in London. FORMER NSW Liberal leader John Brogden has ruled out a return to politics by taking the role of chief executive of peak lobby group the Investment & Financial Services Association. "I have no interest or plans to return to politics," he said yesterday in response to reports last week that he was contemplating a return to the political arena. "In fact, the day the media speculated I have been approached to return to politics, I had just signed the contract to join IFSA." IFSA is a lobby group representing 145 members of managed retail and wholesale funds in superannuation and life insurance with more than $1.3 trillion in funds under management on behalf of 10 million Australians. Mr Brogden said the attraction of joining IFSA was that it would allow him to remain in business and combine it with public policy. Mr Brogden has been looking for a new job since he left as chief executive of health fund Manchester Unity with a termination payment of more than $1 million -- equivalent to two years' salary -- when HCF paid $256m to take over MU last December. Both Mr Brogden and IFSA chairman David Deverall declined to talk about Mr Brogden's salary at IFSA. Neither was Mr Deverall, who is also managing director of wealth management group Perpetual, willing to disclose details of Mr Brogden's contract: "We went through a very thorough process before we appointed John. His association with politics has absolutely not been an issue at all." Mr Brogden resigned from the NSW Liberal leadership in controversial circumstances in August 2005 and gets a parliamentary pension of $70,000 a year. He said the big issue facing the industry was how to encourage Australians to save enough in their superannuation to enable them to retire comfortably: "How do we incentivise Australians to save more for the long haul towards retirement." Australians are also underinsured by world standards. "How do we get more Australians to take out life insurance policies so that their loved ones are well taken care of in the event of sudden death," he said. Mr Brogden said superannuation was crying out for changes to make contributions simple, easy to understand and straightforward. "Next to a house purchase, superannuation contributions are the big expenditure for Australians," he said. The global financial crisis has affected the returns from superannuation, preventing many older Australians from taking retirement. "The current debate is whether there should be an increased compulsory contribution to super -- from 9 per cent to between 12 and 15 per cent," he said. Mr Brogden takes over from Richard Gilbert, who retires on August 28 after seven years as IFSA chief executive. Most of this information on John Brogden has been taken from his website. John Brogden was servant to Bishop John Bell who had been promoted to the See (bishopric) of Worcester in 1539. Bishop Bell resigned in 1543 and moved to Clerkenwell, London. He gave no explanation for his resignation. We do not know how long John Brogden had been John Bell's servant but the following extract from his will shows the extent to which he valued him: John Brogden inherited the tenancy of what appears to be a good deal of property. Bishop Bell had connections with Stratford upon Avon where there were Brogdens and another family of Brogdens came from Worcester, one of whom became an MP. We do not know the ancestry of this John Brogden or his history when he progressed to tenant of properties from servant to a Bishop. Item: I give and bequeath unto the foresaid John Brogden my trusty servant all my whole right title and interest of and in my said lease of Chiswick concerning my other houses, tenements, lands and grounds specified in the same lease over and besides the said principal mansion house garden and orchard as afore bequeath, to have and to hold to him the said John Brogden and to his assigns all the said other houses tenements lands and grounds not bequeathed to the said Mr Feckenham during the term of years expressed, he the said John Brogden paying and discharging the usual rent and rents yearly going out and due for the same according to the tenor and purport of the said lease, in consideration of the good and trusty service that the said John has done to me and upon rounding and to the intent he shall be aiding and helping my executors in and about the execution of this my last will and testament as afore I have willed and declared. "A Very Good Public Servant"
Judge Hiram Brogden was Probate Judge in Covington County, USA, for several terms in the 1930s and 40s. G Sidney Waits, who kindly sent this information, says, "As far as I know he was native to this county and had several kinsmen here. He was very popular and helped a lot of people. His son Hiram Junior has been dead for many years. The Judge was quite a politician and a very good public servant." John Patrick Newton Brogden was Lord Mayor of Portsmouth in 1973 - 74. "Since being elected State Senator in 2002, Randy Brogdon has championed legislation such as "The Taxpayer Bill of Rights" (TABOR) and SB 1 "The Taxpayer Transparency Act." In addition, he was successful in leading the charge to opt out of the federal "REAL ID ACT" of 2005. Randy Brogdon is also the author of SJR 10, otherwise known as the 10th Amendment Resolution. This resolution is designed to protect states rights and prevent the federal government from overexerting its legislative power. His efforts on the 10th Amendment Initiative have brought him national attention from several media outlets across the country. In March of 2009, Senator Brogdon was invited to speak to the Pennsylvania State Legislature about his work on the 10th Amendment Initiative. 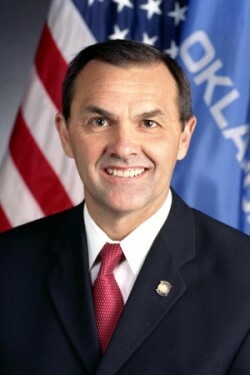 Randy Brogdon has received numerous accolades for his consistent, conservative voting record from state and national organizations. He was also the first State Senator in 20 years to receive a 100% mark on the Conservative Vote Index.